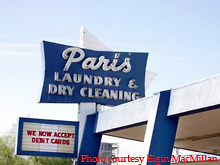 Here's the Paris Laundry, located in Phoenix, AZ. When speaking to the owner of this business on 06/01, he told me that he thought the building was built in 1957, so he figured that the sign was put up at that time. 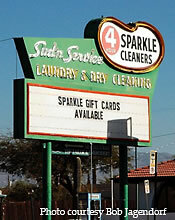 Here's an old roadside laundry sign located in Tucson, AZ for the Sparkle Cleaners. 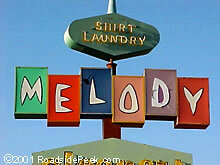 This multi-colored sign for the Melody Cleaners uses color to catch the eye of the passing motorist who may be interested in dry cleaning service one day. 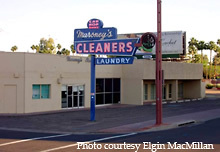 According to an employee, who has been in Phoenix for the last 50 years and works at Maroney's Cleaners, Viacom owns the building and leases it to the Maroney's Cleaners. 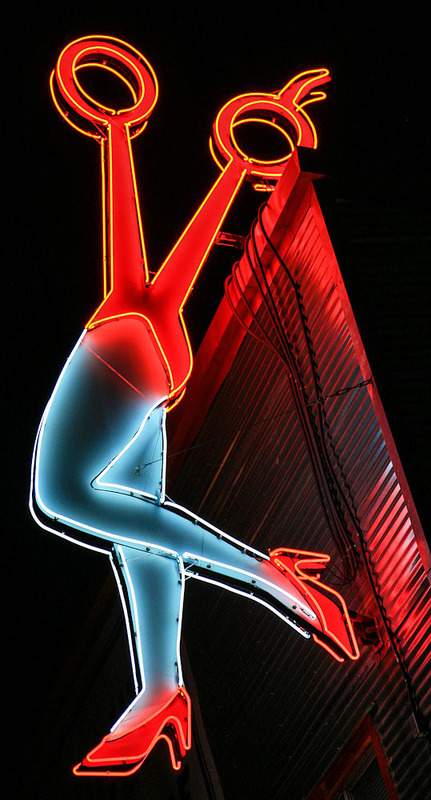 Word is that Viacom wasn't very good about taking care of the building, and now they are giving Maroney's the boot and will be tearing the building down. 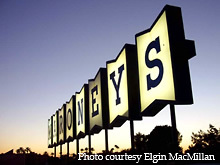 Maroney's has been in business since 1911. Apparently this building was built in the early 50's so the sign must date back to about the same time. 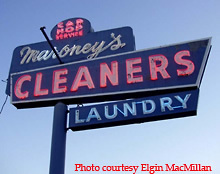 The family that owns the Maroney's Cleaners now, bought it in the 50's from the original family. 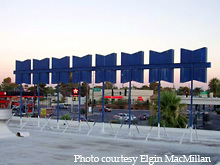 Maroney's will now be consolidating the business into one location at 32nd Street and Indian School Road (shown below), which was built in the late 50's by the 2nd owners.